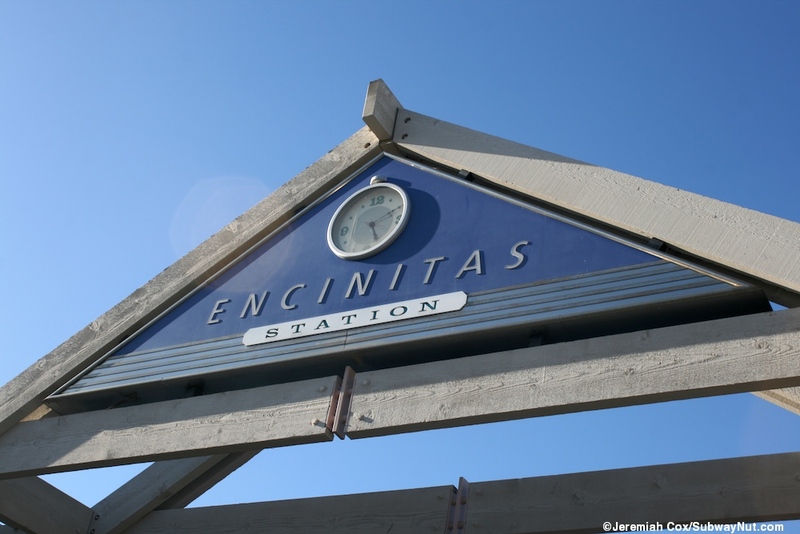 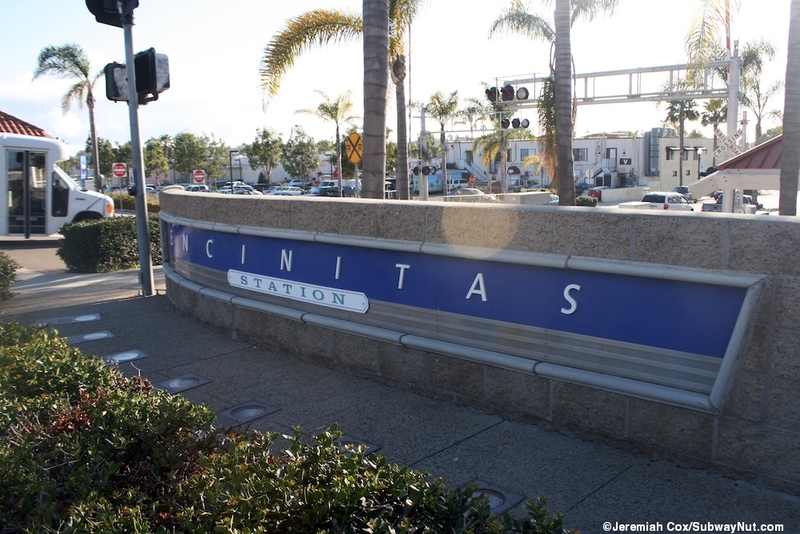 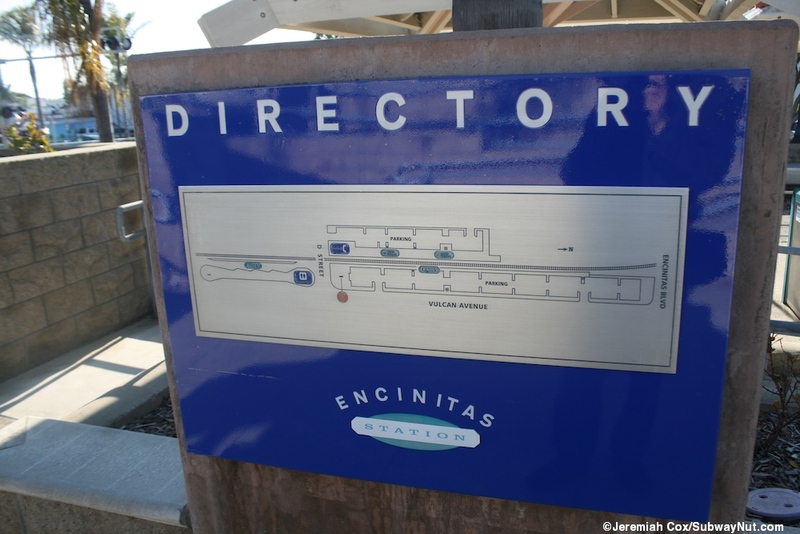 Encintitas is a Coaster Station that opened along with all the others on February 27, 1995. 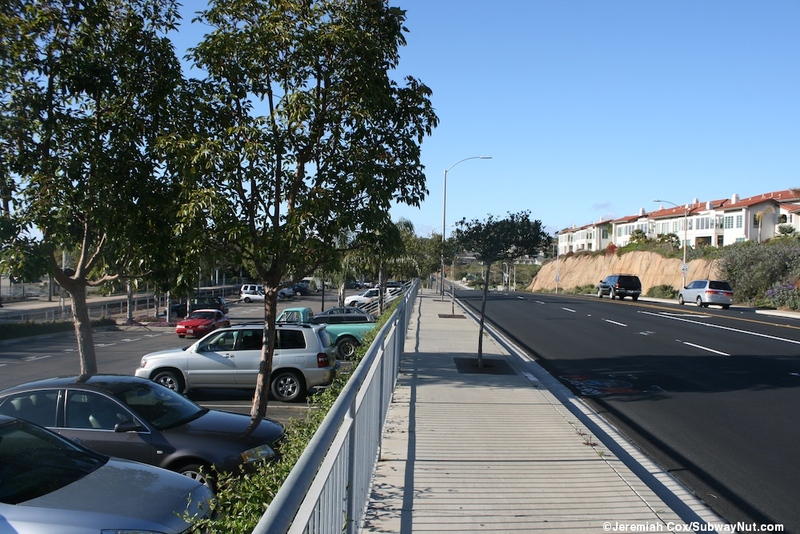 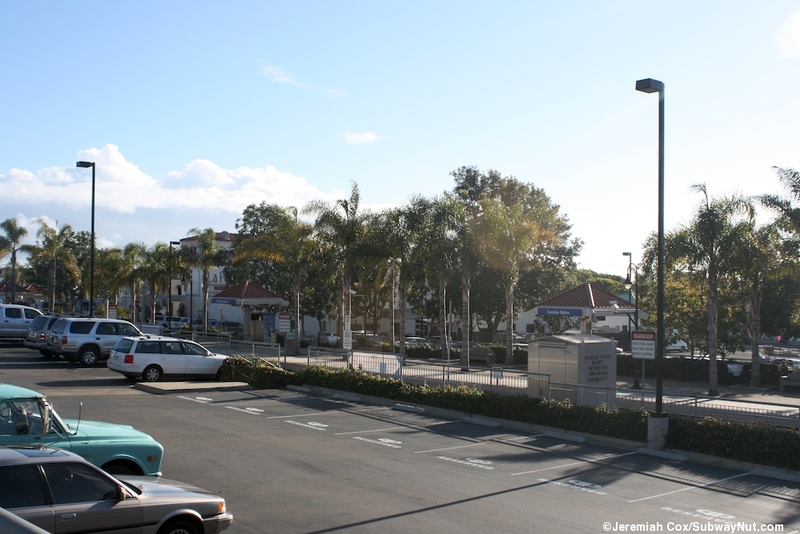 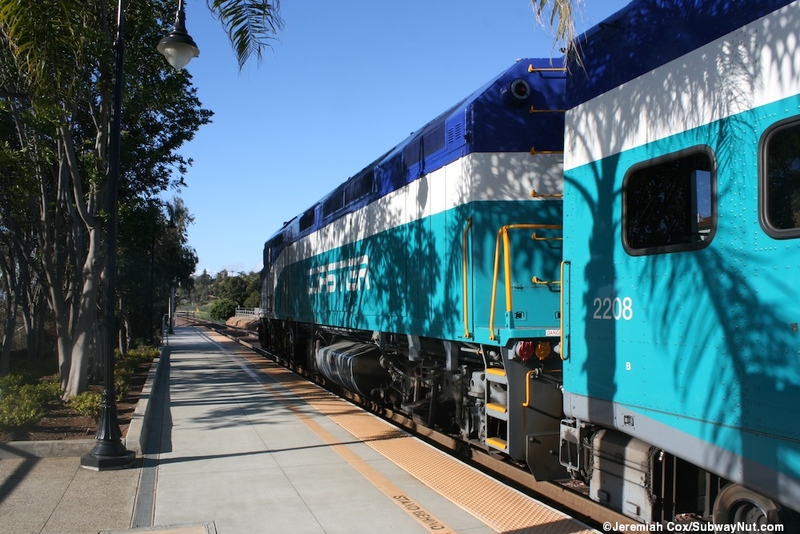 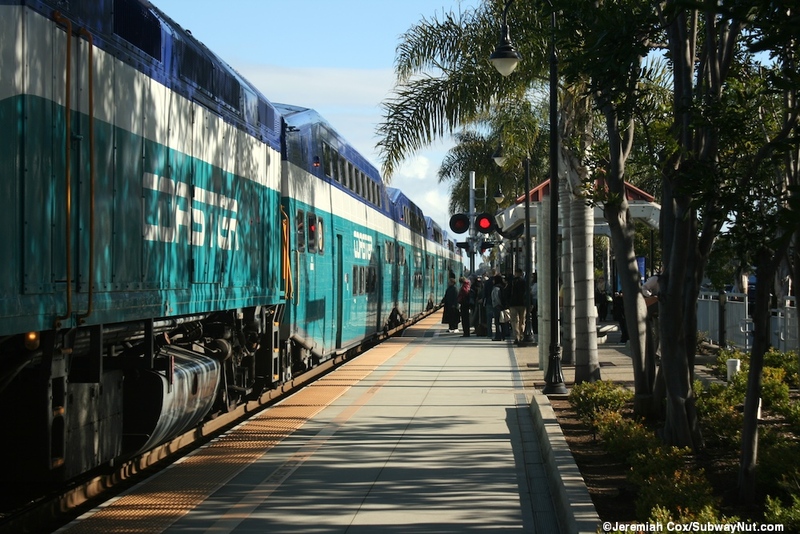 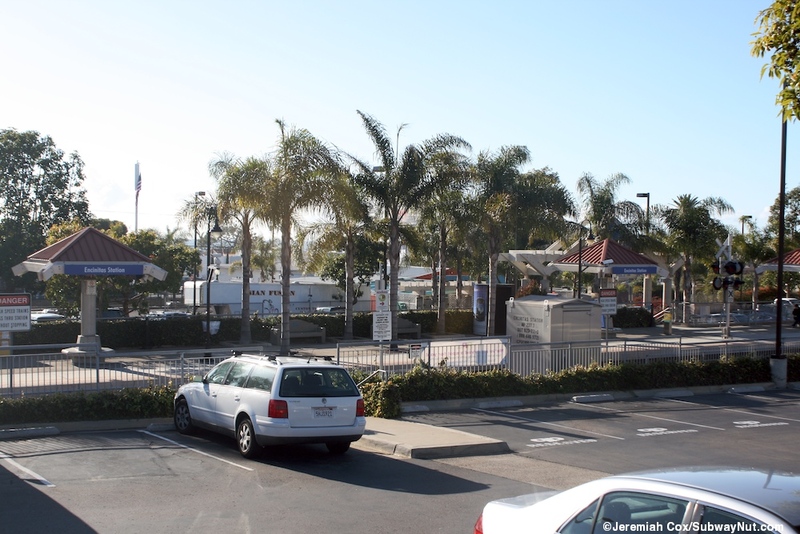 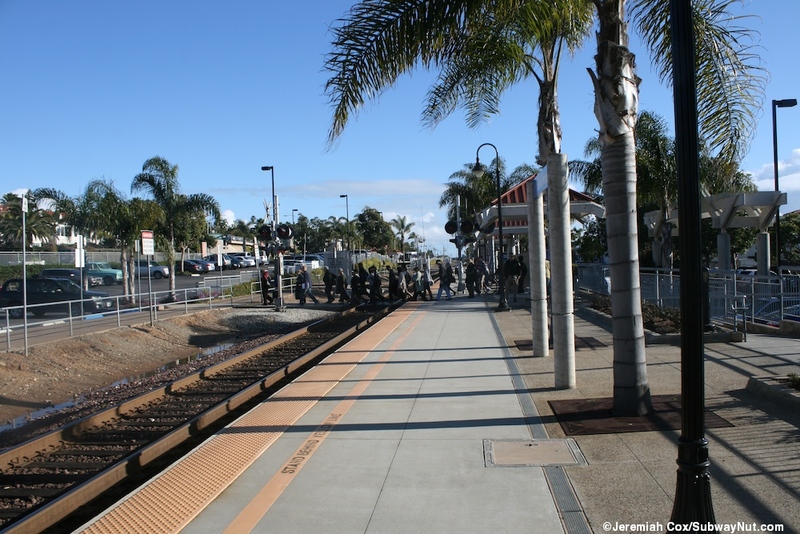 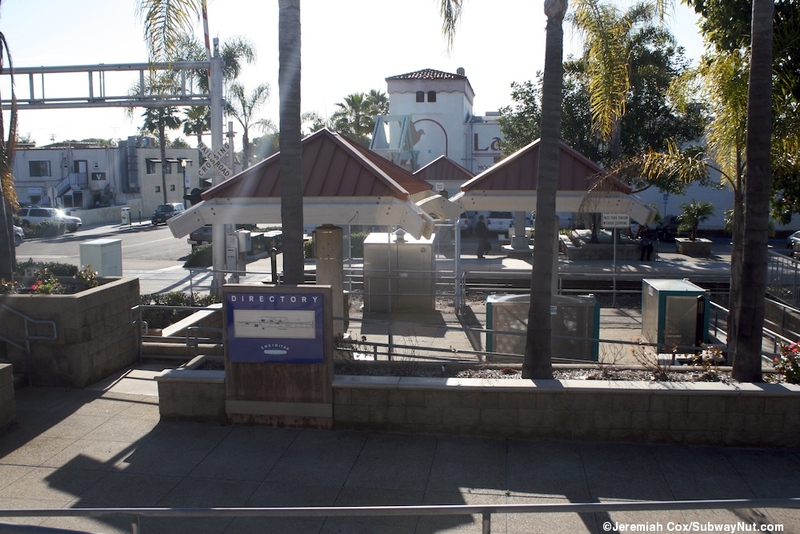 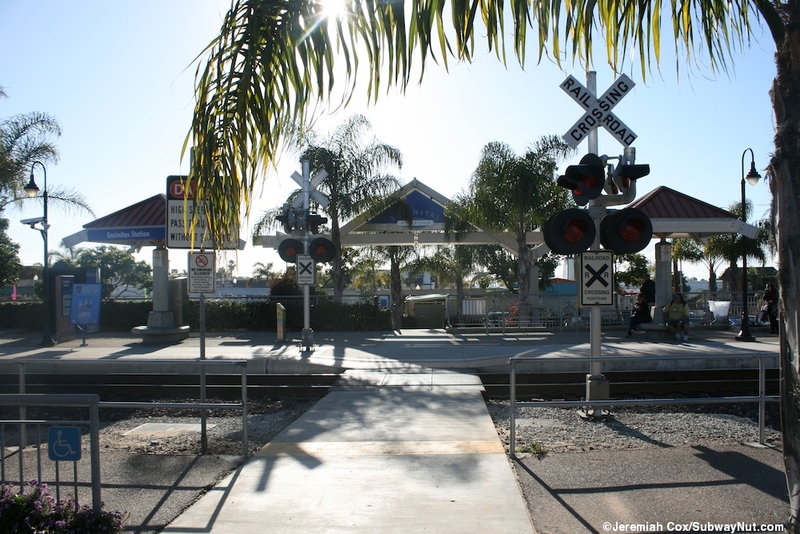 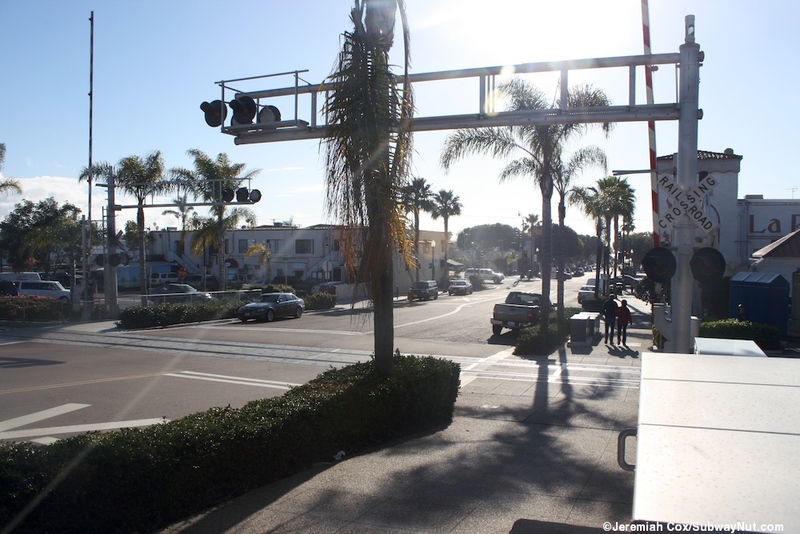 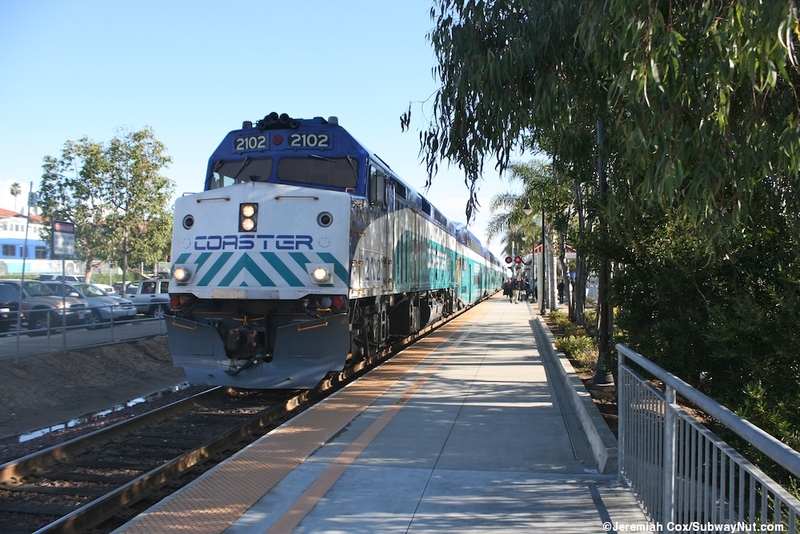 The station has a single platform on the west side of a single track 5 blocks from the Pacific Ocean, that begins at the grade-crossing with D Street at its southern end. 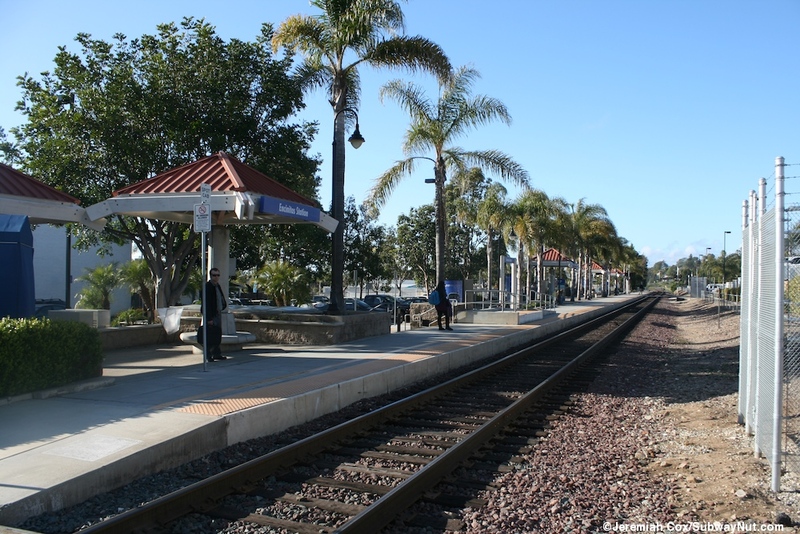 This platform extends north and has six small square canopy structures with red roofs held up by a single pillar with a round bench towards its base. 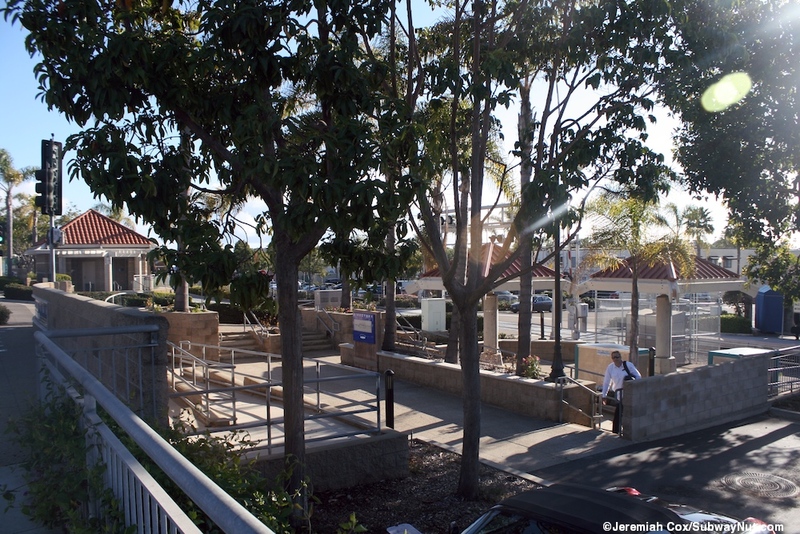 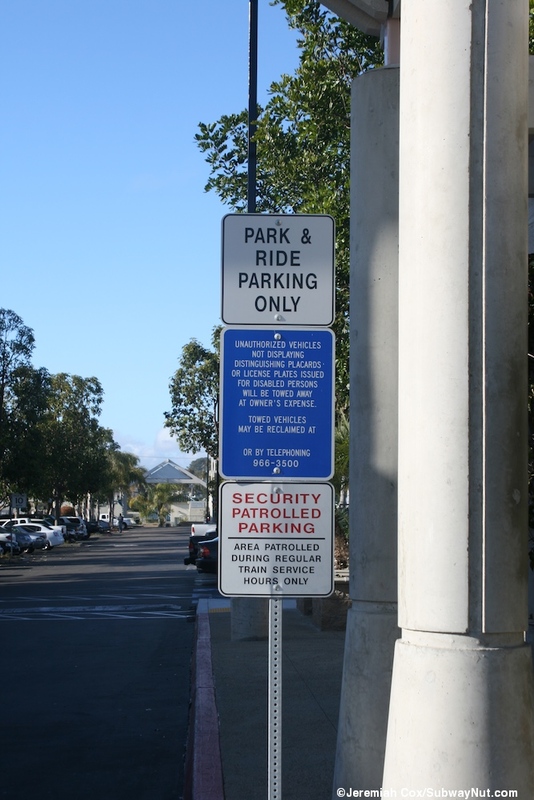 The main parking lot is on the opposite side of the track from the platform and there is a second pedestrian crossing in the middle of the platform for that use where the platform ramps down to meet it. 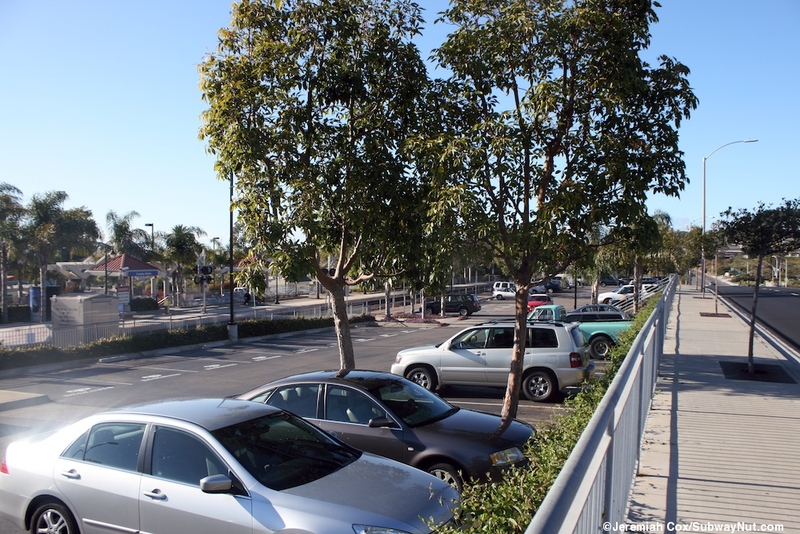 This parking lot is long and narrow and has about 150 spaces and extends north of the platform between the track and South Vulcan Avenue. 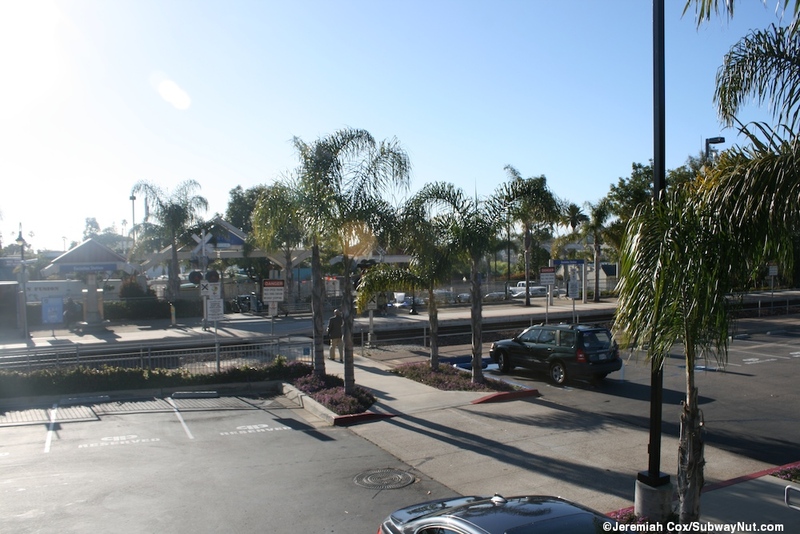 There is a smaller maybe 60 space lot directly alongside the platform and the station is in the middle of a town center with plenty to walk to. 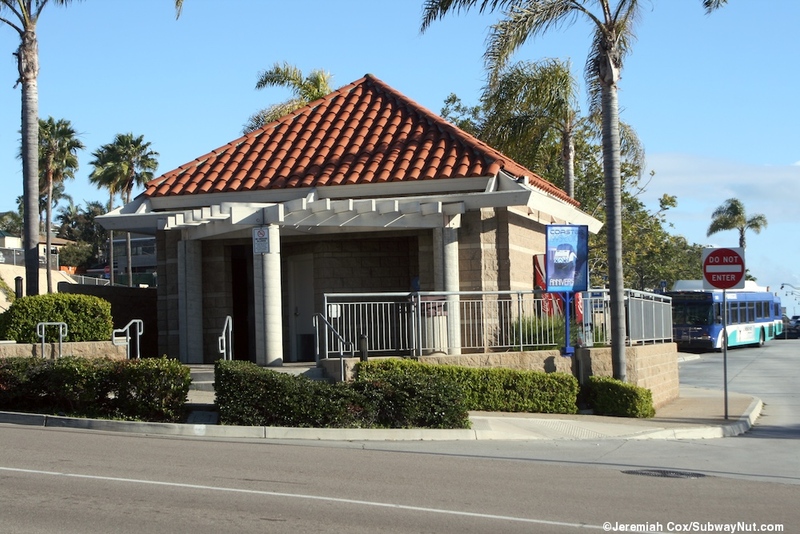 Just across D Street from the station (stretching all the way to E street) is first a simple restrooms structure followed by a three bay bus loop (the others ide of the loop is Vulcan Avenue).